Every Singaporean’s favourite pastime – wining and dining – is taken to a whole new level thanks to Lim Hwee Peng’s mission to enhance the local wine specialist profession. Find out more about his collaboration with e2i. However, as our society becomes more affluent, palates have become sophisticated. Diners want quality red wine like Bordeaux paired with a succulent Kobe beef or a subtle Sauvignon Blanc to complement a sumptuous seafood spread. This probably explains why Hwee Peng, an internationally certified wine specialist and judge, has made it his mission to enhance the wine specialist profession in Singapore. He started his company WineCraft Marketing & Services in 2005 with an objective to train and certify sommeliers and wine specialists. Today, the 49-year-old said diners can be assured that sommeliers and wine specialists are more knowledgeable. Under WineCraft, Hwee Peng conducts and administers the Certified Specialist of Wines (CSW) programme in 2009. This programme is widely recognised and well regarded in both local and international wine professional communities. Its rigorous and intensive programme structure aims to build a strong and deep foundation in wine knowledge and mastery of the key elements within the worlds of viticulture and wine production. To date, CSW has certified more than 300 wine specialists to date, about half which are Singaporeans. Hwee Peng also conducts and administers the French Wine Scholar (FWS) programme, which places emphasis on knowledge in French wines and develops the individual’s competency in the cultural nuances of various French wine regions. With Hwee Peng’s judicious guidance, FWS has seen its graduates progressing to other advanced and higher-learning international programs. The CSW and FWS programmes are beneficial to professionals working in various roles within the wine, food and beverage, and hospitality sectors. 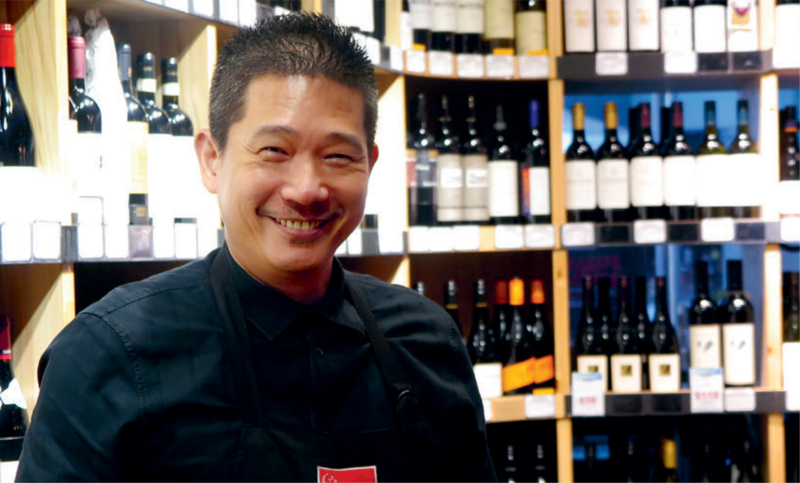 Seeing the rising demand for quality food and wine in Singapore, Hwee Peng and e2i started collaborating in 2011 to train more wine specialists. Since then, Hwee Peng conducts ad-hoc masterclasses with e2i such as e2i’s wine-food pairing masterclass. Since their collaboration, e2i has been subsidising the CSW’s and FWS’ programme fees for Singaporeans and permanent residents. Singaporeans can also utilise their SkillsFuture Credit for the courses. Lim Hwee Peng receiving his Partners Award at the 2017 May Day Awards. The event honours the contributions of outstanding individuals and partners who have been advancing the interests of working people in Singapore by serving with the Labour Movement. Hwee Peng also initiated the Singapore Wine Specialist Challenge in 2015. The competition tested participants on wine varieties, wine making, viticulture, wines from around the world and the Singapore market. The competition enables the increasing pool of wine specialists to refresh and relearn while ensuring that their knowledge of wine remains relevant. This event had a second run in 2016, which was organised and supported by e2i. These successful partnerships have resulted in Hwee Peng receiving the Partners Award: Working People’s Advocate at the 2017 May Day awards. Click here to find out more about the Lim Hwee Peng’s wine specialist programmes.